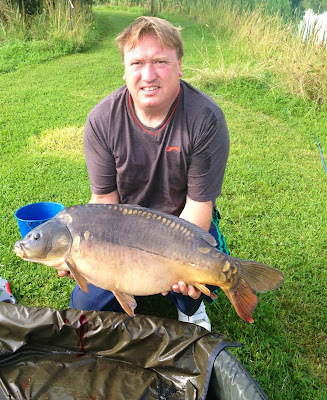 September Fish of the Month Entry - Blackthorne Mirror! Keith Ceresa caught this cracking Mirror Carp from Blackthorne Fishery on a popped up Bloodworm Boilie fished on a bolt rig! Keith with a nice Carp!